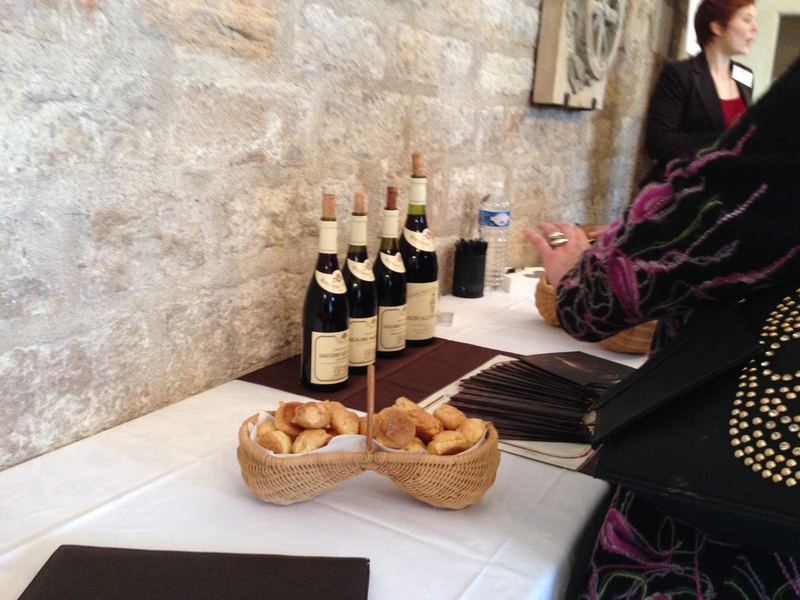 In November 2014 I was in Beaune to participate in the Beaune wine festivals. I was with friends from Russia. Besides the events in Beaune, we visited wine growers around Beaune – to the north and to the south. My personal highlights around Beaune were the Château Pommard (great wines and welcoming staff) and René Lamy (very welcoming atmosphere). I also liked Henri de Villamont in Savigny (under Swiss management – great cellar tour) and La Veuve Henri Moroni in Puligny-Montrachet (charming, though I prefer her red wines). I felt a little less comfortable at Château Meursault (beautiful cellar, but snobbish staff), Leclerc in Gevrey-Chambertin (a kitchy restaurant, wines okay) and Domaine Bertagna next to Clos Vougeot (wines okay, atmosphere was a little cool). Château Pommard is a beautiful estate south of Beaune. The gate invites visitors to enter. 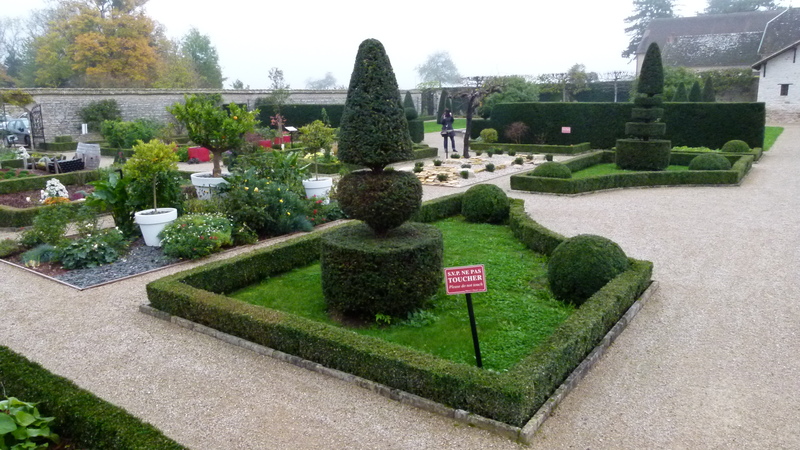 The garden is well cultivated with carefully trimmed bushes. According to the rules of the château, the ticket for a tasting plus the Pomm’Art Gallery costs 20 Euro per person. We frown – we are not really interested in the gallery right now. The staff is very friendly and lets us in to just have the tasting. The assistant guiding us through the wines is full of enthusiasm. Pommard is the largest private monopole of Burgundy. His enthusiasm is contagious, and we buy some wines. 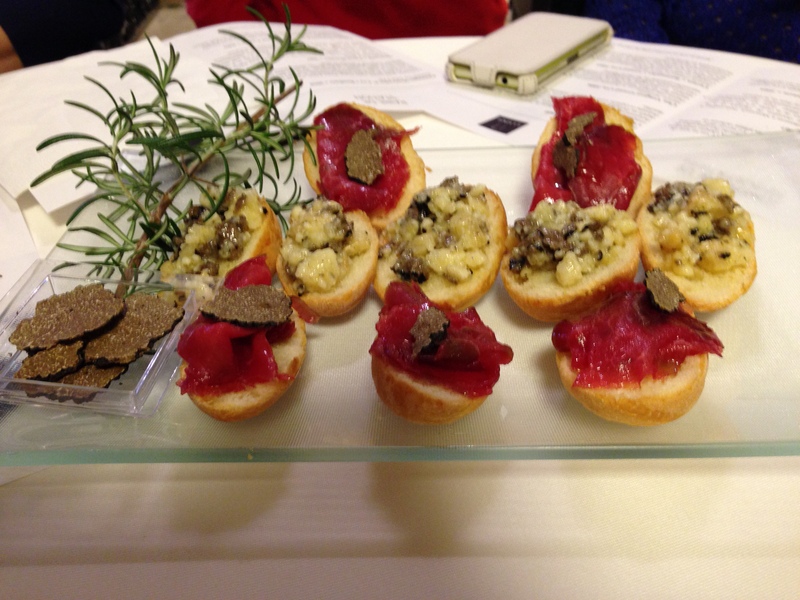 Result: Now the tasting is free, and in addition we can visit the Pomm’Art Gallery for free. Monthélie 1er cru les Riottes, 2011: Cherry, little tannin. We buy a bottle for our dinner. When traveling to Chassagne-Montrachet, we find the winegrower René Lamy-Pillot. A sign indicates “open”. We are kindly welcomed by Florence, the daughter of the house. 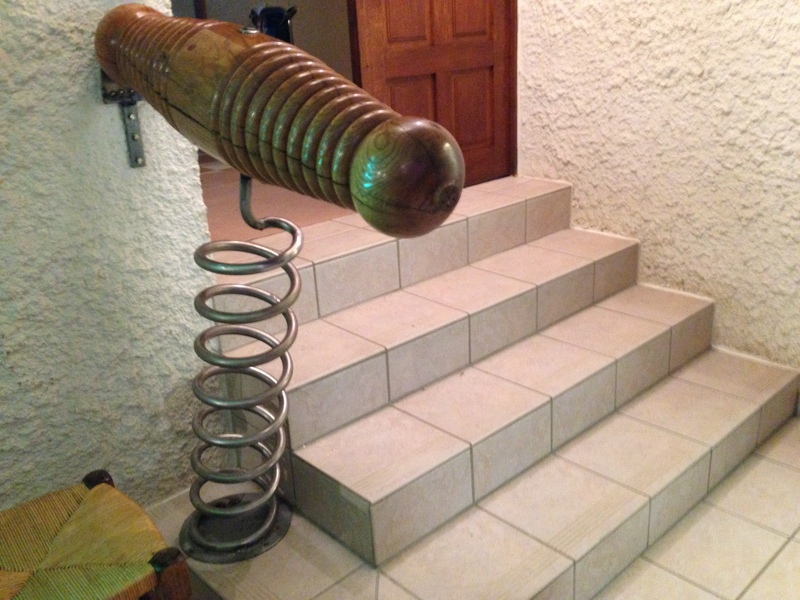 The cellar is very clean and full of eye twinklings like this stair rail – a perfect match for this wine cellar. Their Website is charming. Florence works with her parents, while her husband, Sebastian, buys grapes from various winegrowers and runs his own innovative business under the name “Lamy&Caillat”. 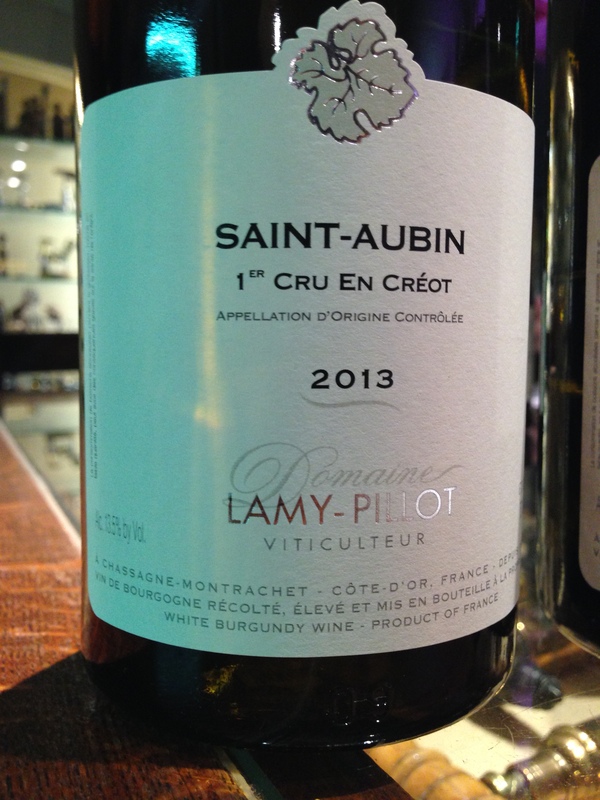 Florence’s father, René Lamy, has some 1er Crus, but he also has some vineyards that are a little off the main climats – St. Aubin and Appelations Villages / Régionales – and some are a good value for money! While we have delved into our tastings, the door opens. Three guys enter in a rush, an Englishman, a Dutchman and a man whose English and French accent identify him clearly as being from Zurich (they just cannot hide their accent). Of course, he immediately notices that I am from Basel (I cannot hide my accent either) and we exchange our impressions. They regularly buy wines in Burgundy and come to see René Lamy every year. He has prepared boxes ordered by them, and they just stay for a short moment to have a glass of wine and say hello. Chassagne-Montrachet La Boudriotte 1er Cru 2012: Almost sweet with cherry taste. Aljoscha feels the leather boots of his father. I will surely also come back to this friendly house! Coming from Chablis we enter the Côte de Nuits via road D31 crossing a romantic canyon. Our first village is Gevrey-Chambertin. 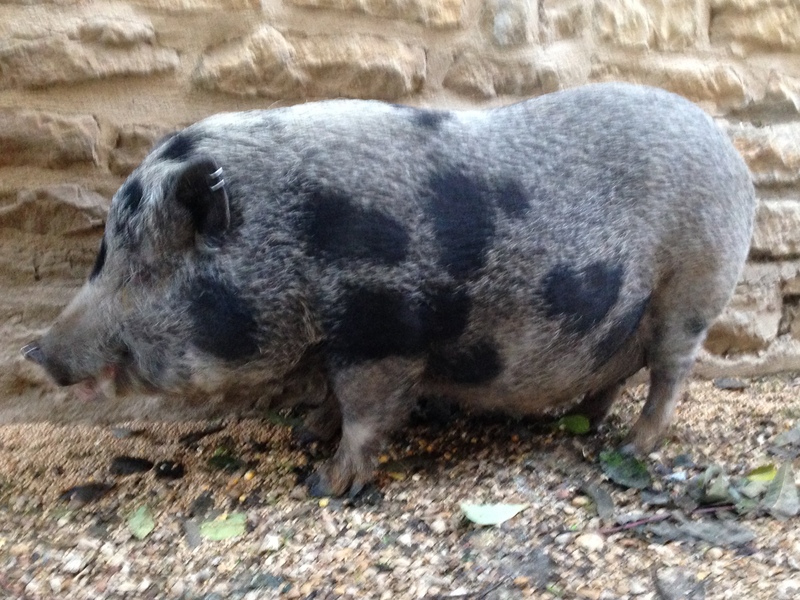 This charming pig welcomes us. In La Rue des Halles we visit Leclerc, a winegrower that also owns a restaurant. 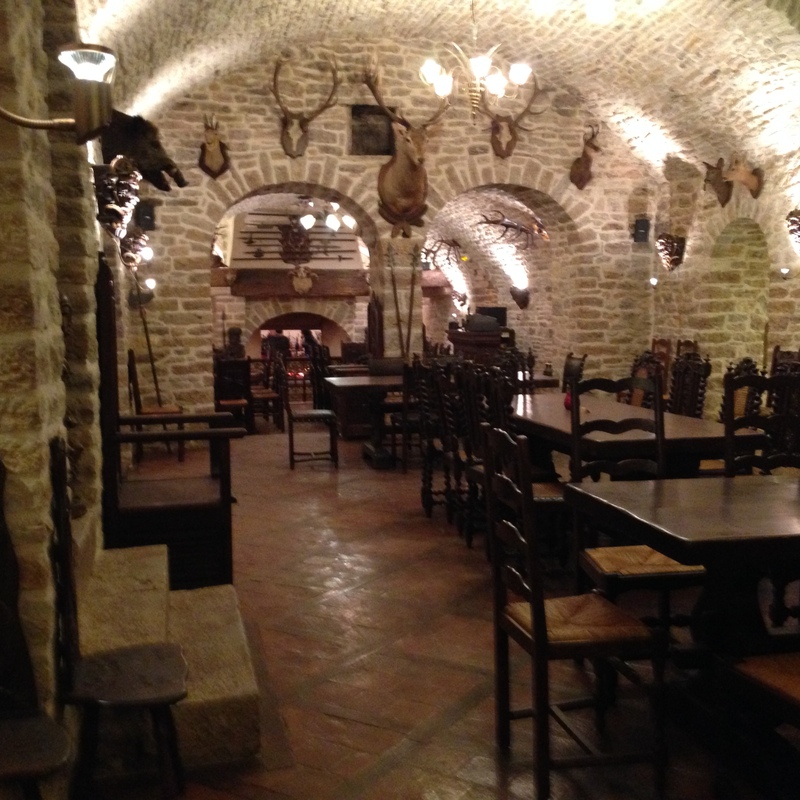 In my opinion, the vaults are a somewhat kitschy with the stuffed animals and horns hanging on the walls. We are offered the following wines for tasting – I can see my Russian friends frown from time to time. Gevrey-Chambertin 1er Cru Champonnet 2010: I do not like the nose, but the taste is dense. At Château de Meursault we do not feel very welcome. They have their fixed procedures and stick to them. We have to walk through the never ending cellar vaults all alone to find the tasting room. We have to taste red before white. From the red wines, we had two 1er Crus, Beaune Grèves (mushroom, cassis) and Volnay Clos de Chênes (fruity, leather note and spicy, very balanced). The white wines were Clos de Château Meursault 2011 (nutty, little after taste), Meursault Villages (nutty, toasted bred, mushrooms – chanterelles, little after taste) and Château de Meursault Les Perrières 1er Cru (dry, sweet nose, perhaps butter or honey melon). I will not return to Château Meursault. Larissa had recommended La Veuve Moroni. 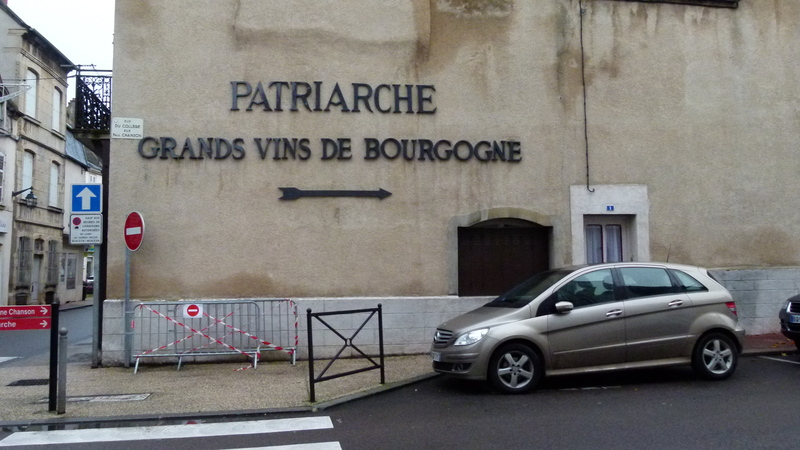 We find her in Puligny-Montrachet. She welcomes us in her plain tasting room and tells us that she has hosted a tasting of her wines with Coquilles Saint Jacques yesterday. She is a dynamic person full of entuhsiasm – her husband has died 30 years ago and she has continued the winegrowing business on her own. When I drink her wines at home, I prefer the red to the white. Auxey-Duresses 2010: Very young and tannin not yet integrated, has potential. Without having tasted it, I bought a Crèmant de Bourgogne brut and a bottle of Clos Saint Denis Grand Cru 2001. The Clos St. Denis was a wonderful match with my beef meat pie Provence style. Henry de Villamont’s highlight is the tour through the cellar. Villamont is under Swiss management. They have renovated the estate. 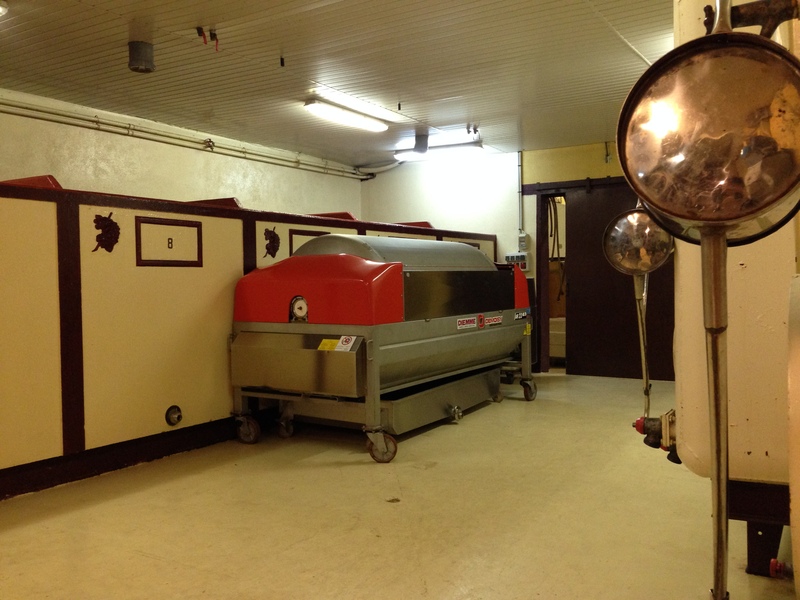 The cellar is spotlessly clean. Our guide is very proud of his estate. He takes us first into the cellar for white wines: 4000 barrels of French oak à 228l mature at a temperature of 14-15 degrees. The cellar for red wine is cooler. We are 12m under the earth. 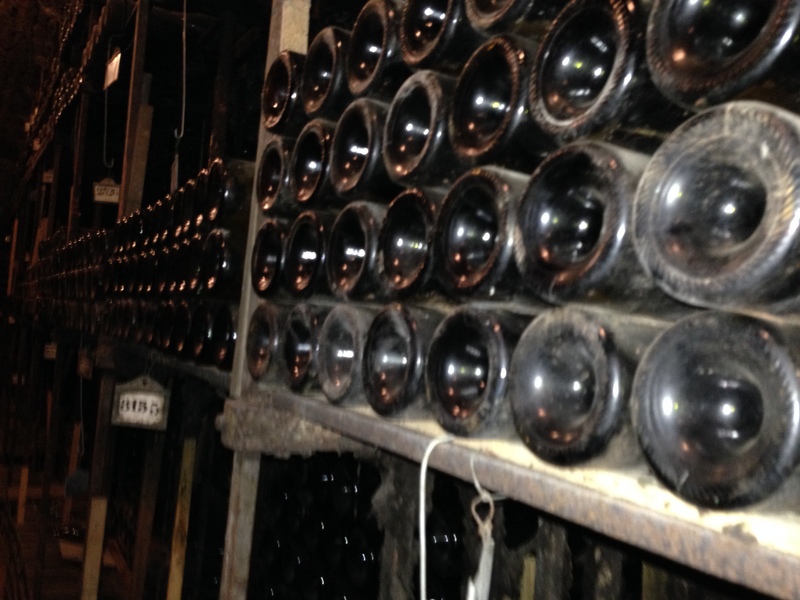 Behind a locked gate they keep old treasures… the oldest wine is from 1911. 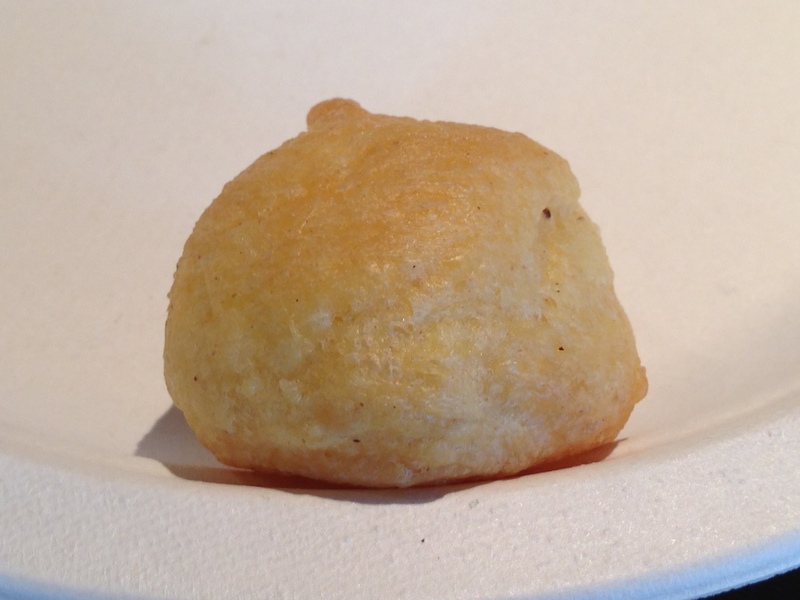 To accompany the wine tasting, we are offered gougères – like in other places. I will have to look for the recipe – they go so well with the wines. Savigny-les-Beaunes 2012: Plain, smoky Chardonnay. Chassagne-Montrachet 2010: Nutty (Pistache ), dry-sour, almost too sour. Meursault les Caillerets 2008: Quince, smoky. Pommard les Epenots 1 er Cru 1990: Light mold in the nose, something is wrong in the palate – bitter and rotten prune. Obviously too old. Nuits-Saint-Georges 1982: Leather, damp rose, caramel, dried prunes and mushrooms. In November 2014 I was in Burgundy with friends from Russia. We tasted wines and I also bought some bottles. Back home I started to share my “treasures” with friends. Recently it was a “St. Denis Premier Cru 2001” (Veuve Moroni) – a perfect match to my beef meat pie Provence style. In the nose I found some fruit and a roasted note, in the palate the wine was spicy and fruity reminding me of dried prunes. This experience motivated me to go back to my notes about Beaune, where we stayed in a wonderful apartment and enjoyed the wine events. 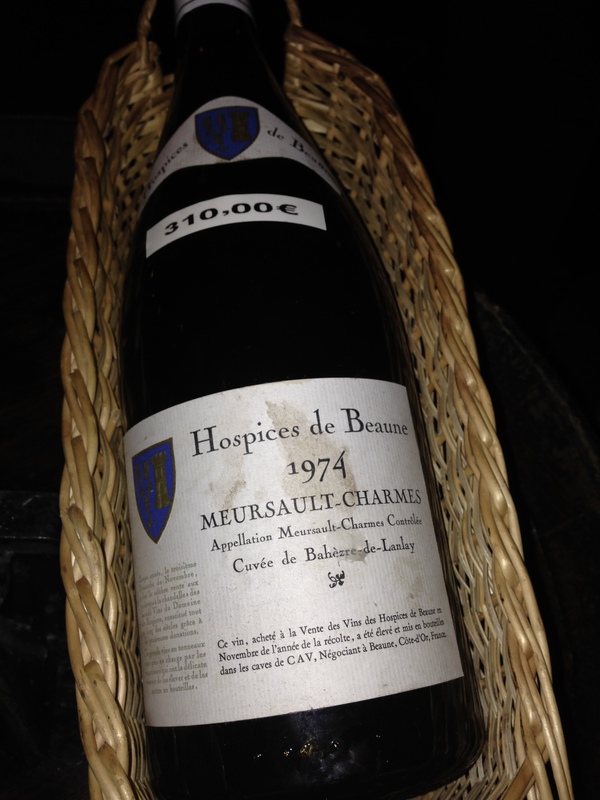 My personal highlights from the November Beaune wine events were Bouchard Aînée et Fils, Patriarche and the Marché au vin (Hospices de Beaune). I did not enjoy Besancenot very much, but I loved the medieval cellar of Bouchard Frère et Fils, and also the truffle-wine tasting of Vin des Tonneliers was a good experience. 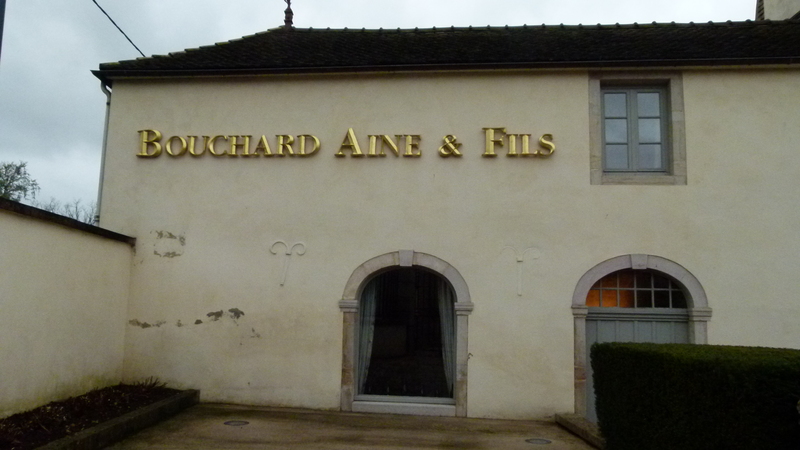 Within the Beaune wine events, Bouchard Aîné et Fils invited for a tour in their cellar. 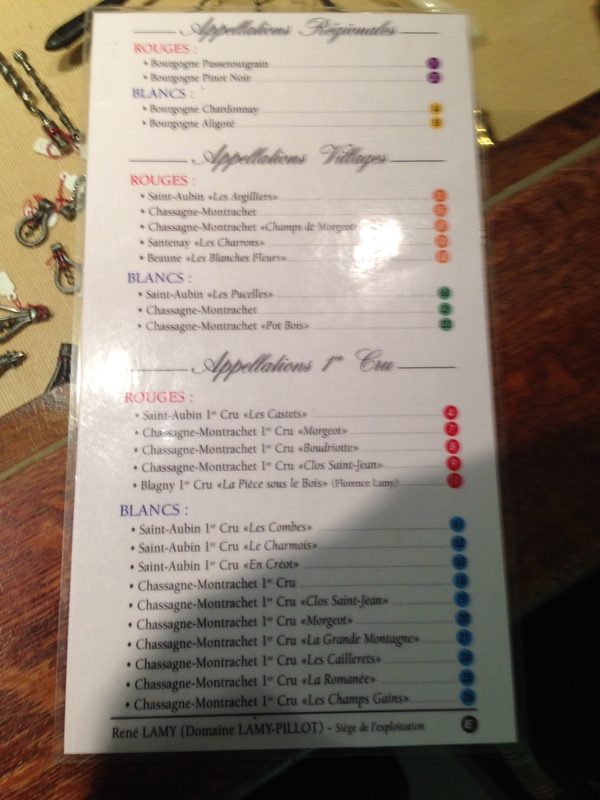 We found a careful selection of wines and each wine was perfectly matched with a delicious bite (the bites had wonderful French names – as they are only possible in French). The selection contained some vintages even going back to 1962. Students presented the wines along with the bites were full of enthusiasm, plans and optimism. Crémant de Bourgogne en Magnum: Dry. Rully 2007: Balanced taste of lemon. With it we had a millefeuille des pain d’épices à la gelée de pomme et de foie gras. Chassagne-Montrachet 1er Cru Morgeot 2007: Very strong, almost too much for me. 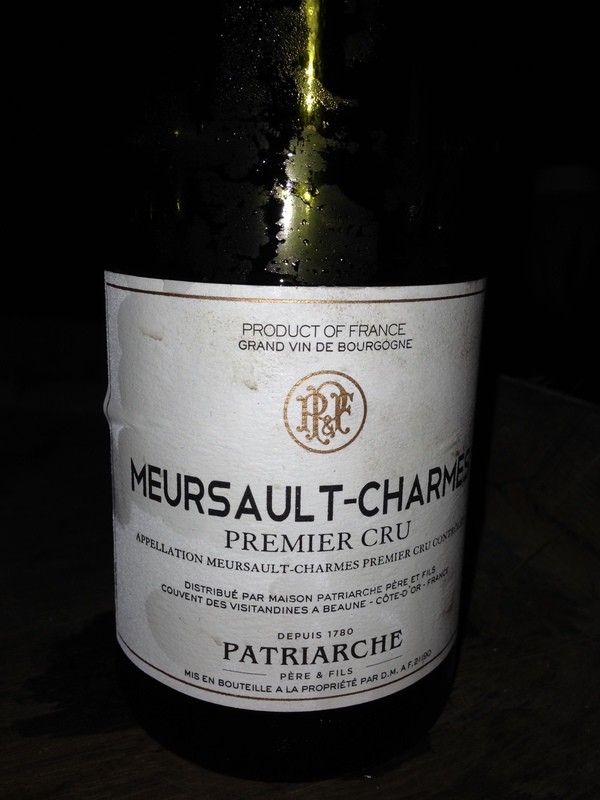 Meursault 1er Cru le Porusots, Cuvée Humblot Hospices de Beaune 2008: Fresh apple, acidity. With “coeur de Tsar de Saumon fumée d’Ecosse sur pain Porlane et beurre Bordier aux alges fumées”. Beaune 1er Cru Clos du Roi 2014: Bitter and full of tannin (not (yet) perfectly integrated)) – we later had a Clos du Roi 1962 which shows, the 2014 has potential to mature. Beaune 1er Cru les Marconnet 2012: Cherry nose and taste, soft tannin, already drinkable. 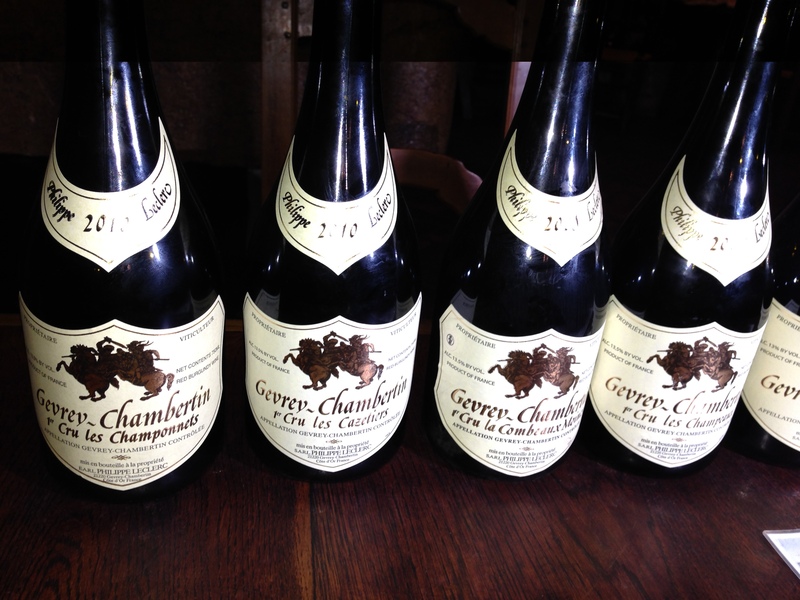 Gevrey-Chambertin 2012: Dried prunes, can feel the tannin. Served with it was a sausage marinated in Marc or in French “habit de Gentleman Farmer: Sabodet lyonnais … cuit dans le marc frais de pinot noir de Bourgogne”. Savigny-Les-Beaunes 1er Cru Les Peuillets 2005: Smoky taste, prune, astringent tannin (I call this “furry”). Corton Grand Cru Cuvée Docteur Peste, Hospices de Beaune 1998: Soft (“velvet paw”) and note of cacao. Served with “brillat Savarin couronné d’une dentelle de truffe de Bourgogne sur pain Poilâne aux raisins de Corinthe”. Beaune 1er Cru Clos du Roi 1962: Color is orange, for 1962 still fresh and flowery (reminding me of roses). 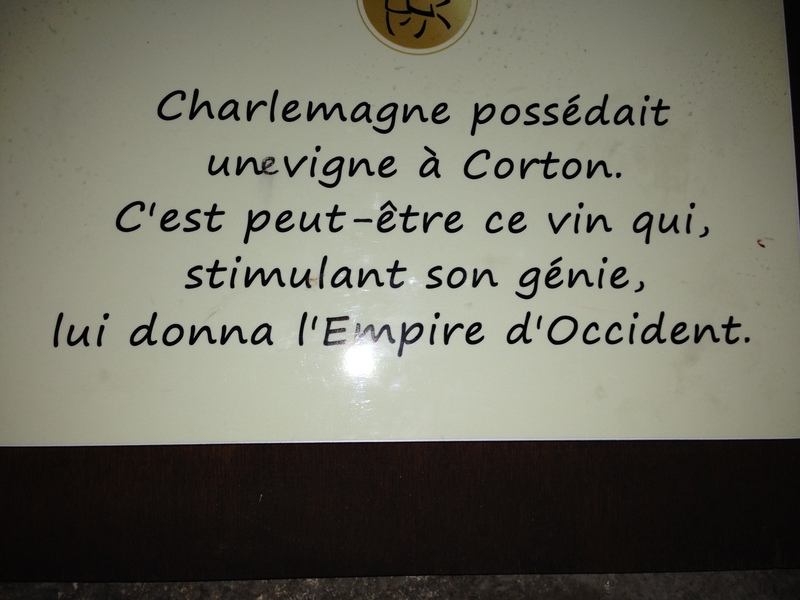 At Patriarche we find this note, that, twinkling with an eye, says “Charlemagne owned a vineyard in Corton. It could well be that this wine stimulated his genius and gave him the empire of the west”. Could well be. As in Bouchard Aîné et Fils, students serve the wines and explain to the visitors, what they are tasting. The student presenting the wine from Pernand-Vergelesses has lived in this village for five years. He loves his village and in particular the old church. The village is located above Aloxe-Corton on 350m, he says. The slopes are exposed to the south, the wines, he continues, show finesse and bitterness. He recommends to drink them with dark chocolate, lamb gigot or Reblochon cheese. The student dreams of runnng a boutique for wine and food, when he has graduated. From his explanations, I learn that a vineyard a little off the grand cru slopes might be a good and affordable option in Burgundy. The student introducing to the Chambolle-Musigny will take over the winery of his family, Domaine de l’Évêché in Saint Denis De Vaux ( www.domainedeleveche.com). He does not only know his wines, but also his iphone – and he teaches me, how to generate the variations of “e” that are needed for French. Also the student at the stand of Nuits-Saint-Georges 1er Cru Les Cailles proudly tells me that he will take over the winery of his parents. And the young girl that presents the Grands-Echezeaux Grand Cru comes comes from the Côte du Rhone and dreams of emigrating to Australia or South Africa. I enjoy talking to these young people planning their life. This is the long list of wines that we could taste. Nuits-Saint-Georges 1er Cru Les Cailles 2009: Fruity (prune), good tannin, powdery cacao. Hospices de Beaune Savigny Les Beaune 1er Cru Cuvée Forneret 2000 (assemblage Vergeresses et Savigny): Soft and outgoing, dried prunes. Aloxe-Corton, 2009: Fresh and biting tannin, dense. I buy a bottle. Alla and I had tickets for the “Marché au vin” belonging to the Hospices de Beaune. Again students presented a wonderful selection of wines, not only from the Hospices, but also from other châteaux/castles. The wines of the Hospices have the addtion “Cuvée…” indicating who donated the vineyard to the Hospices founded in 1443 by Chancellor of Nicolas Rolin of Burgundy as a charity hospital – very modern he was at that time! The student responsible for the Beaune 1 er Cru Les Cents Vignes has a girl friend that is from Belarus. He can speak some Russian which eases our conversation. The student serving the Marsannay tells me with fervor that he wants to trade with wines. The student at the stand of Gevrey-Chambertin tells me that he was taught not to say “wood”, because clients often associate “wood” with a bad taste that may dominate all other flavors. They should rather say “dense” or “strong”. The student presenting the Corton-Charlemagne Grand Cru 2011 asks us, whether we know, why “Charlemagne” is a white wine. The answer: Charlemagne loved red wine, but his wife would always notice drops of red wine in his beard, when he came back home from Burgundy. So Charlemagne decided to switch to white wine which did not leave traces in his beard. If it is not true, it is well invented. Some of the wines have their price. 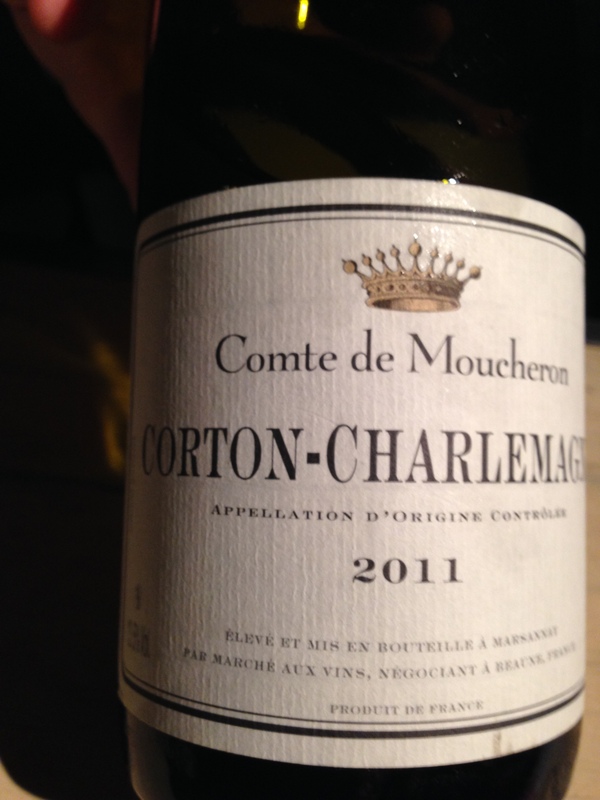 Corton-Charlemagne Grand Cru 2011: Flowery, spicy (vanilla), nutty (almond), mineral taste. Marsannay Le Parterre 2011: Cherry, fresh, light Tannin. Beaune 1 er Cru Les Cents Vignes: Dried prunes, round, clean, tannin. Vin des Tonneliers is a wine dealer that invited to taste wines with truffle bites. 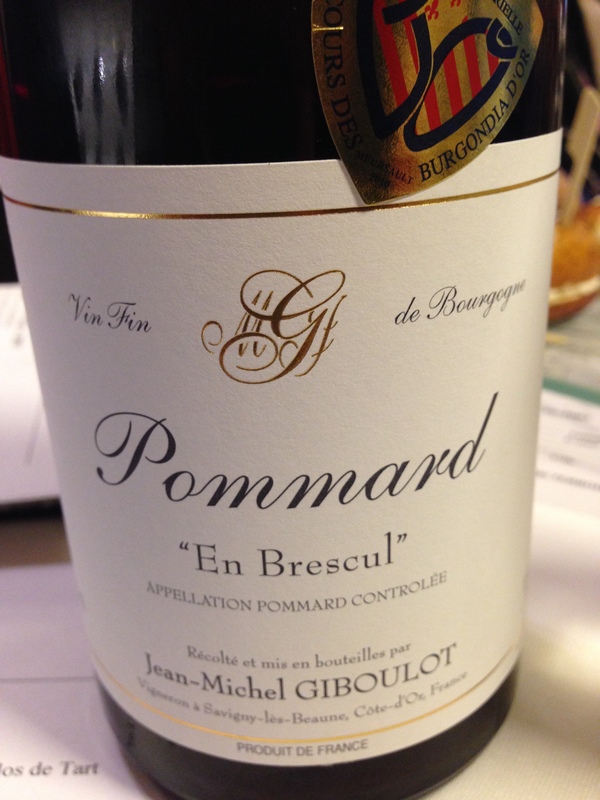 I liked this Pommard en Brescul and bought a bottle. Corton 2003 (already harvested in August, as it was a hot year): Cacao, bitter tanning caramel. Recommended to drink it within thenext four years. The highlight of Bouchard Père et Fils is their medieval location – in the Beaune Castle. The kings from Louis VI to Louis XIV used it to control the population of Beaune. The family Bouchard acquired the castle in 1775. Also since 1731 the family has been in the winegrowing business which they enhanced after the French revolutiuon, when most wine estates of Burgundy were sold. 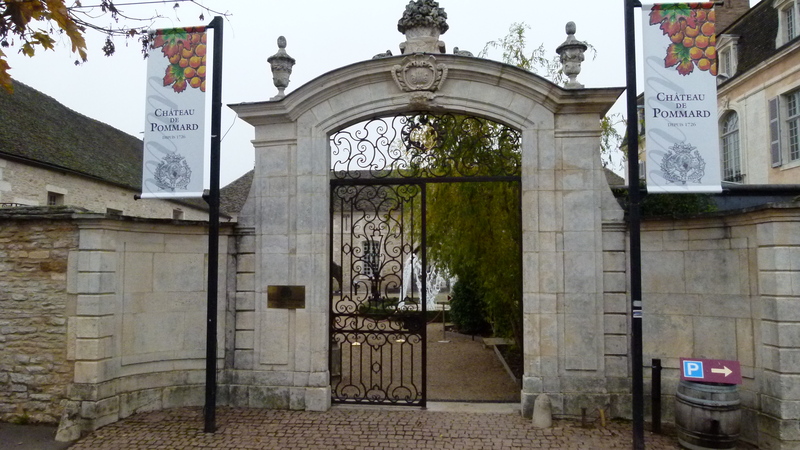 Today it is Bouchard’s 9th generation; they sold the estate to Henriot in 1995, but continue to manage and enhance it together with Henriot. The vinifcation takes place in Savigny and the wine bottles are stored in the castle caves, on a surface of 4000m2, 10m under the ground, at a constant temperature of 14 degrees and 80% humidity. A guide takes us down the steep stairs into the cellar. We are full of respect, when admiring the many bottles – they are “naked” without labels (the corks keep the identification of the wine). The family also keeps some old bottles, even from the 19th century, to be able to investigate the aging process of their wines. The oldest bottle is a Meursault from 1846 that was still drinkable. They recork their bottles every 30 years and then also taste them. 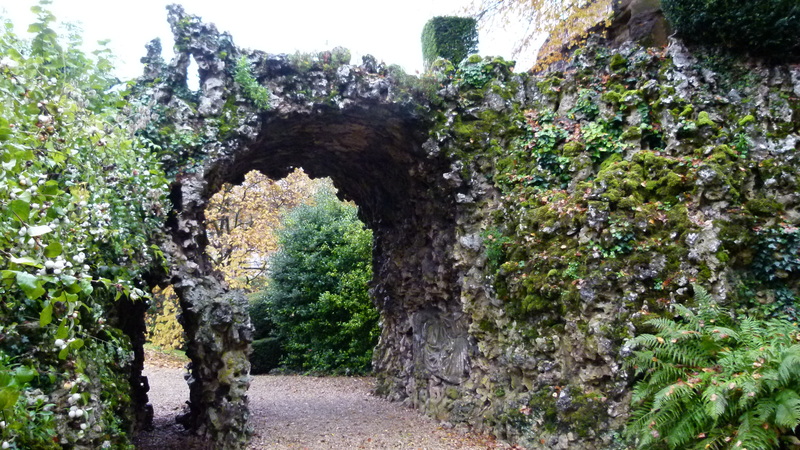 After having left the cellar, our guide took us to this romantic garden. The tasting took place above the ground and was accompanied by cougères, the apéritif cookies of Burgundy. A perfect match with the wine. Beaune Grèves Vigne de l’Enfant Jésus 1er Cru 1976 (Related with the legend of Anne from Austria that prayed for a son and then gave birth to the later Louis XIV). 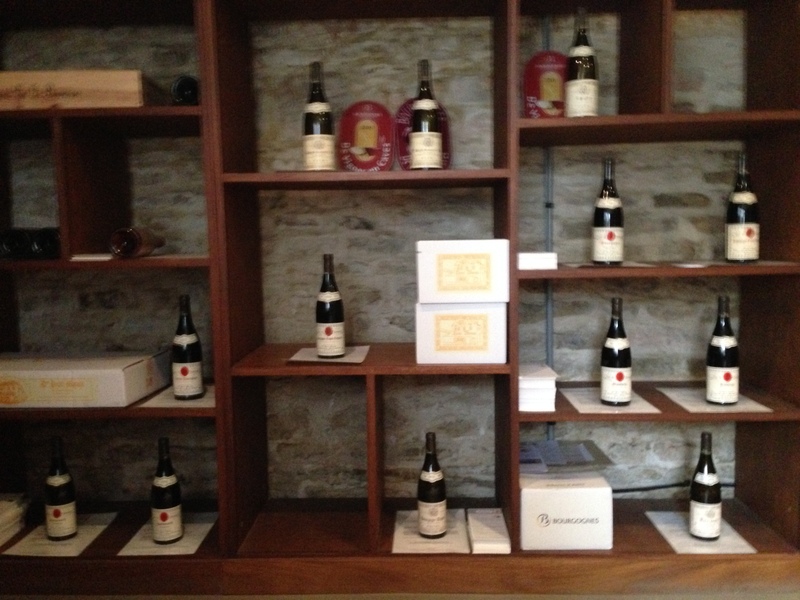 The Domaine de Besancenot invited to taste eight grand cru wines, however… this winegrower was a disappointment for me. The atmosphere was sober and the cellar was not really clean. This was an “anti-highlight” and I would not return here. 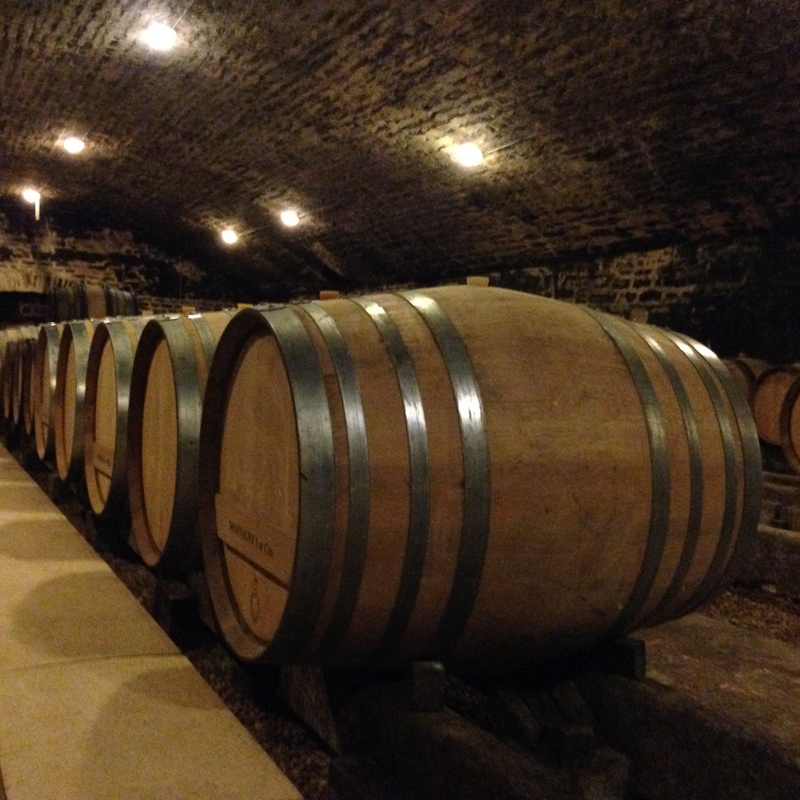 We also visited some winegrowers around Beaune – not related with the November wine days. I will talk about them later, in particular about my personal highlights.